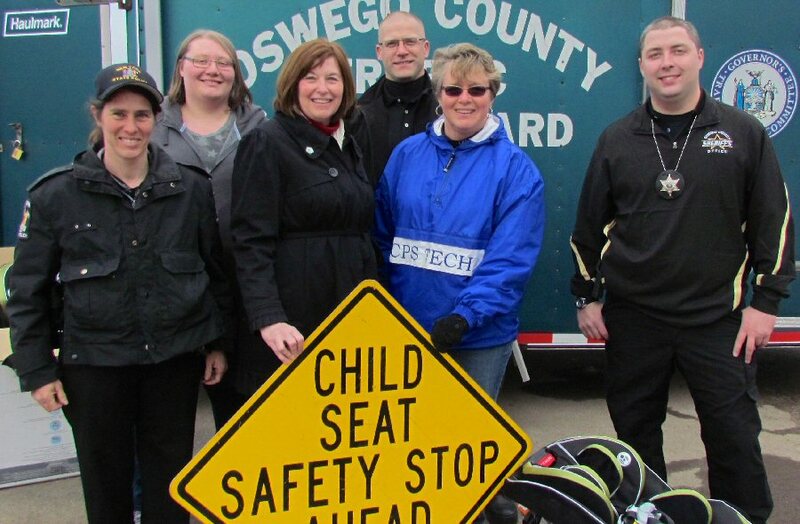 The Child Passenger Safety team made sure that every baby they saw was riding as safely as possible at last month’s child passenger safety seat check at the Best Western in Oswego. 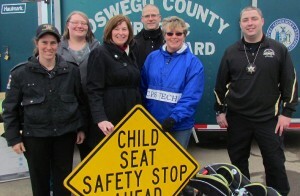 Child Passenger Safety Education is funded by a grant from the NYS Governor’s Traffic Safety Committee. Free safety seat checks are done throughout the county all year round. Pictured (below) are some of the experts in the field: Trooper Ann Cunningham; Legislator and Traffic Safety Board member, Amy Tressider; Kathy Jamerson; Deputy Todd Delmar. In back are Bri Tice and Trooper Eric Heath. 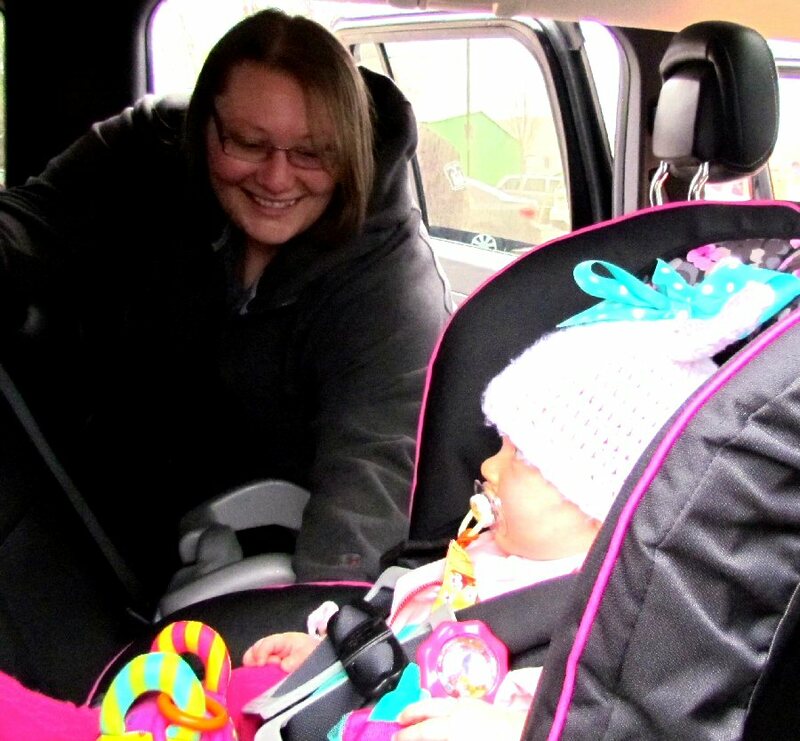 Child Passenger Technician, Bri Tice, (below) helps to secure little 8-month-old Addyson’s convertible car seat rear facing. Infants should remain rear facing for as long as the seat allows to be as safe as possible.